Organic chemicals are found in many consumer products. Office furnishings like furniture fabrics, oil-based paints and resins, adhesives, new cabinets and carpeting typically emit formaldehyde and other substances. Dyes, strippers, solvents, aerosol sprays, stored fuels, glues, detergents and preservatives can be found in commercial and manufacturing facilities. Moisture, food smells, cigarette smoke and awkward human or pet odors from everyday activities can accumulate to uncomfortable levels throughout public facilities. 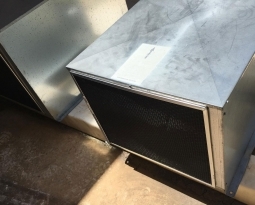 Motor vehicles operating in closed garages, air intake grills along side loading docks, main traffic streets or bus stops can draw air into buildings laden with exhaust fumes (carbon monoxide, carbon dioxide and volatile hydro-carbons) as well as garbage odors. 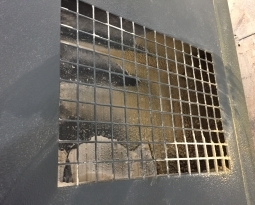 All these odors and fumes get recirculated through a facility and the ventilation system. 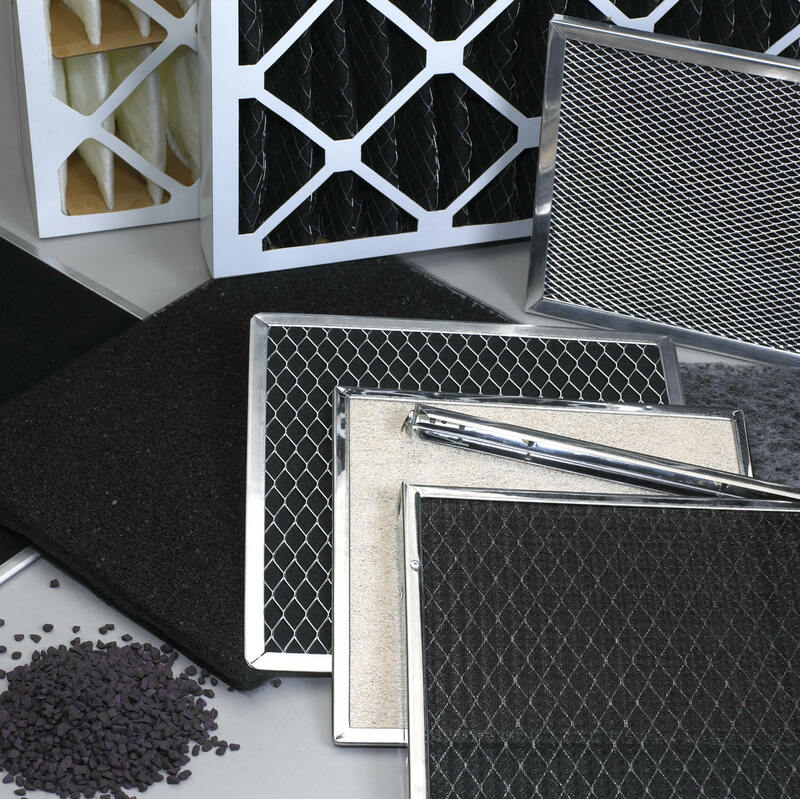 Activated carbon, as well as several other compounds, is widely recognized as an effective method of removing and preventing odor/fume buildup in recirculated air. 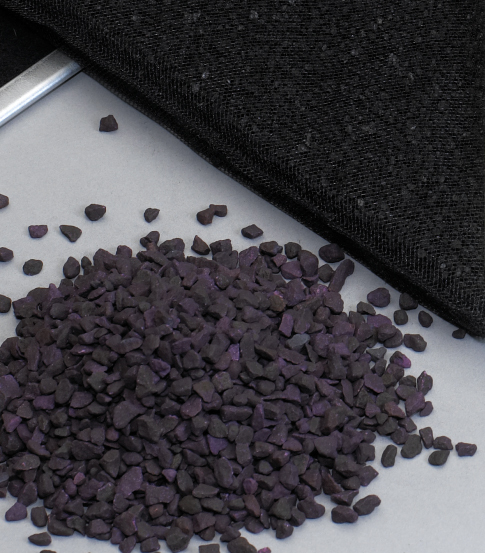 Utilizing the finest quality carbon coatings, Permatron offers a line of high efficiency odor and fume removing activated carbon filters, bulk media and pads cut to size. 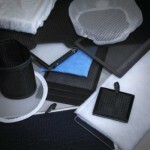 Synthetic media substrates are impregnated with finely ground carbon coatings, and heat set to retain those coatings even when the media is rinsed or vacuumed. Just as a sponge soaks up water, activated carbon filters adsorb odors and fumes. Noxious odors are pulled and held by molecular action into millions of tiny pores in the media coating. This means that the odor causing molecules are actually removed from the air permanently, not masked with another odor. 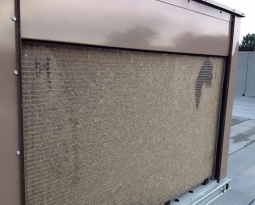 Air velocity, humidity and temperature can influence the odor elimination process. The rate of adsorption depends on the relationship between the pore structure or surface area, and the shape of the contaminating molecules. The activated carbon is ground to an extremely fine particle size to increase the surface area available for adsorbtion. 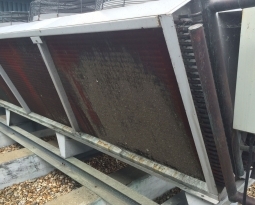 Once the activated carbon filters are saturated with odors and fumes, they must be replaced. 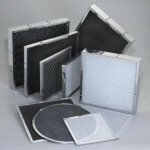 By impregnating activated coatings on dust filtration media, activated carbon filters achieve dual filtration effect. The synthetic media filters the particulate matter, while the activitated coating adsorbs the gas or vapor contaminants. Carbon with Potassium Permaganate and Alumina is available for light gas removal including Ammonia, Formaldehyde, Hydrogen Sulfide and Sulful Dioxide.